Corinthian Colleges closed its doors and filed for bankruptcy last year, leaving about 80,000 currently enrolled students in the lurch. Corinthian was besieged with charges of fraud and misrepresentation at the time it went belly up and subsequently had a $1.5 billion judgment entered against in California. A couple of days ago, Senator Elizabeth Warren wrote Secretary of Education John King a letter complaining about how DOE has treated Corinthian's former students who have outstanding student loans. She said about 80,000 former Corinthian students are eligible for debt relief relief under DOE's "closed school" program, but are in some form of debt collection. More than 30,000 student borrowers are in "administrative offset" and could have tax refunds and Social Security checks seized for nonpayment of their loans. More than 4,000 borrowers are having their wages garnished by the federal government for loan nonpayment. Less than 4,000 former Corinthian students have had their loans forgiven under DOE's "borrower defense" discharge, far fewer than the number who are entitled to relief. Only 23,000 former Corinthian students have even applied for borrower defense discharges, less than a third of the number of Corinthian students who have been put into DOE's collection process. I've been critical of Senator Warren in the past, but I commend her for her vigorous efforts to help former Corinthian students who have outstanding student loans. As Warren herself put it in her letter to Secretary King, Corinthian's meltdown "left an estimated 350,000 students with worthless degrees or credits and mountains of fraudulent debt." There is ample evidence of wrongdoing throughout Corinthian's operations, and all its former students deserve to have their loans forgiven. What would that cost? 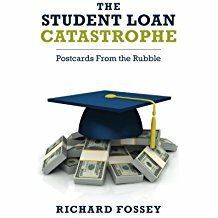 According to the New York Times, if all 350,000 former Corinthian students had their loans forgiven, it would cost taxpayers about $3.5 billion. But that is what should be done. Instead of requiring hundreds of thousands of former Corinthian students to file applications for discharge under DOE's cumbersome administrative process, every student loan taken out to attend a Corinthian campus should be forgiven. And let's not forget the Corinthian students who may still be attending Corinthian campuses that were sold to a subsidiary of Educational Credit Management Corporation in a deal engineered by DOE. ECMC created a subsidiary named Zenith Education Group to run 53 Corinthian campuses that ECMC bought for peanuts--$24 million or less than half a million dollars per campus. According to an Inside Higher Ed article, the Zenith-run campuses are not doing well. Zenith has consolidated some of the campuses it bought and is closing others. It seems quite possible that the Zenith-run operation will also shut down. In any event, any relief granted to former Corinthian students should include all students who continued their studies on campuses operated by Zenith. Help for Victims of College Fraud (Editorial). New York Times, June 10, 2015, p. A24.